Get the Funk Out! 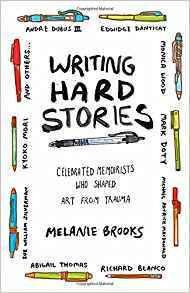 : Melanie Brooks joins host Janeane Bernstein to talk about her book, "Writing Hard Stories - Celebrated Memoirists Who Shaped Art from Trauma." Melanie Brooks joins host Janeane Bernstein to talk about her book, "Writing Hard Stories - Celebrated Memoirists Who Shaped Art from Trauma." Did you miss Melanie Brooks on today's show?